Should be interesting. 2015 may be remembered as the year of the two biggest mergers in pay-TV history, or it may just be remembered for one of them. Comcast is, of course, trying to absorb Time Warner Cable, while AT&T hopes to merge with DIRECTV. One is widely seen as a neutral move while the other is often met with anger and hostility. But what will happen? Despite outcry from more or less everyone, it’s likely that the Comcast/Time Warner Cable deal will go through. The FCC, led by former cable lobbyist and non-dingo Tom Wheeler, hasn’t done anything to imply that they’ll act in the best interests of you, the average person. These are two companies that consistently rank worst in customer service and who will control 31% of the country’s internet capacity plus countless media outlets, pay TV channels and even a theme park or two. The only group more reviled than Comcast CSRs are Congressional representatives. Folks, it’s going to happen. It won’t be good for anyone but stockholders, but it’s going to happen. I’ll also forecast that the AT&T/DIRECTV deal will go through. Here are two companies that really do compliment each other despite nominally competing. AT&T’s U-Verse TV system has been unpopular and unsatisfying, while DIRECTV has suffered from the lack of tight bundling as seen by Verizon with its cell phones, land lines, TV and internet services. The combination of terrestrial and satellite delivery here is very exciting and while it’s true that everyone suffers a little when competition is decreased, what we’re seeing here will be a win for current AT&T customers, a win for DIRECTV customers who want to stream, and a win for the market in general. As for the rest of the market … it’s going to be a good year for DISH as well. I’m already hearing rumors of something referred to as a “Super Hopper” which will compete with DIRECTV’s HR44, and there’s always the possibility that DISH will also find a way to partner with a terrestrial service; it’s a well-trodden fact that they’ve been trying to find a way into that market for years. Verizon may finally be pressured in 2015 to start building fiber services (and the TV service that rides on fiber) again, but I’m guessing they won’t; the big push for all providers is to provide wireless internet to the home and it’s more likely Verizon will put their money there. They did buy up that failed Intel venture, but it’s hard to know how that technology could be of use to them. The big spoiler in all of this could be Google. They’ve been toying with TV services for about a year and if they wanted to leverage their virtually unlimited bankbook to start providing pay-TV of some sort to the home they could really tip the apple cart. I disagree with those who say that Google Fiber TV is the future. I think it’s a place for Google to develop relationships that it may use in the future to launch a streaming-only service, but it won’t be a pay-TV competitor. One thing’s for sure, this promises to be the biggest year in pay-TV history. It’s still hard to know if streaming will find a way to peacefully coexist with traditional live TV or if streaming will eventually doom pay-TV, but the end to that story will be written far past 2015. 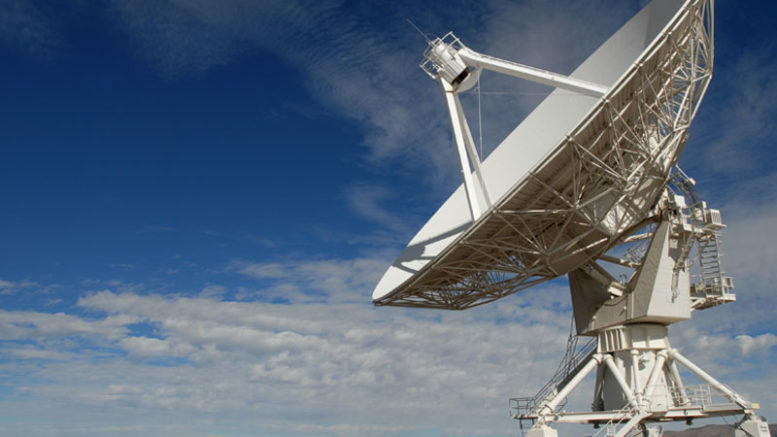 NICE AND EASY: How far offshore will satellite signals go?